Leveraging on our vast domain experience, we are engaged in offering an exquisite collection of Rubber Metal Bonding. Used in various areas of the industrial fields, these items are examined by our quality experts on various provisions of quality in order to deliver flawless range. 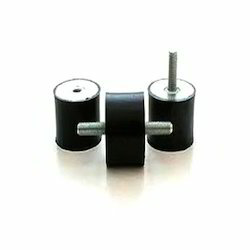 The offered items are manufactured from the bonding of rubbers in compliance with international quality standards. Looking for Rubber Metal Bonding ?